Deburrs both sides of sheet metal simultaneously. Capacity up to 3/8". 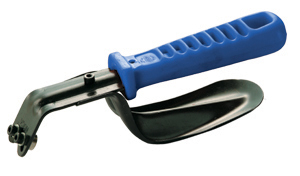 Can also be used as a deburring tool for straight edges on blocks of steel. Tool comes with two blades.